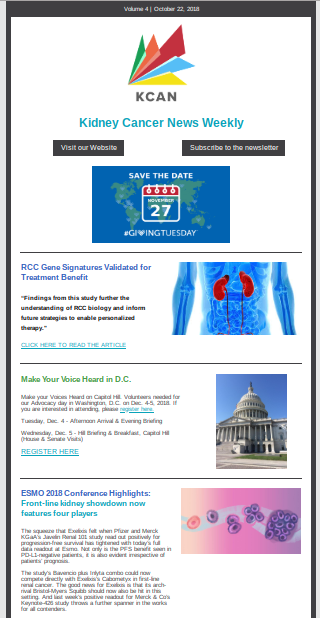 KCAN Newsletter 10.28.2018 - Read about a new breakthrough for first line treatment! Click here to read the latest KCAN newsletter. Older PostCombination therapies for kidney cancer were exciting news this week at ESMO. Dr Hans Hammers from UTSW talks about the progress being made.